One of our first editorial marketing campaigns was for a business very close to my heart—Adamson Ford. 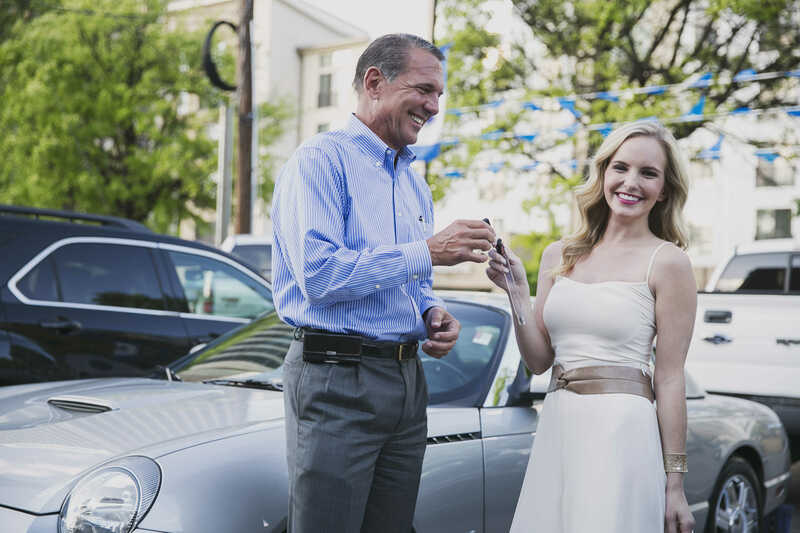 The historically-renovated dealership was founded in 1918 and was owned by my grandfather before my father purchased the business in 1982, making him the youngest car dealer in the nation. 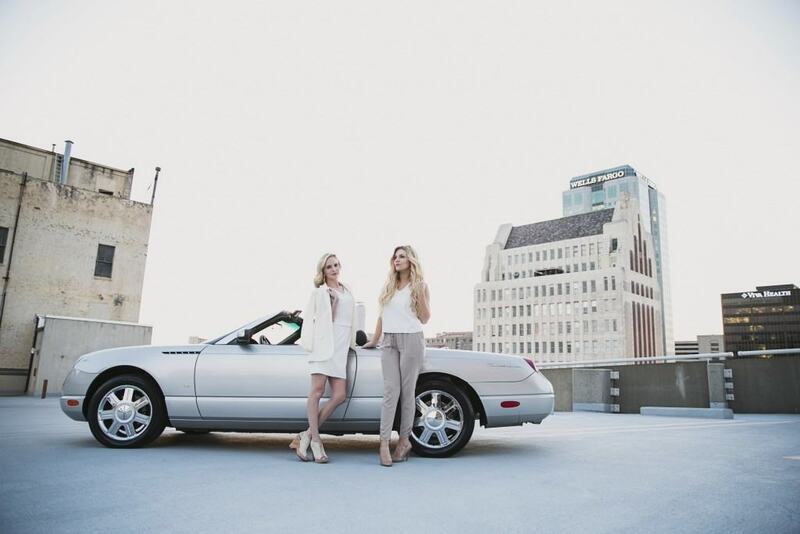 At The Southern Atelier we knew we wanted to have a downtown vibe for the campaign since the dealership has been located downtown during its 98 year tenure, so we immediately brought on Laura Jett Walker with Jett Walker Photography. She is a Birmingham-based wedding photographer known for her artistic point-of-view and for working on many forward-thinking shoots and campaigns. Check out her work by clicking the following link: jettwalkerphotography.com. For Styling we pulled from Lilla Designer Consignment, located in the Crestline Village area of Mountain Brook, a suburb of Birmingham. Lilla was able to provide many designer items to our shoot – Louis Vuitton, Milly, Tibi, Prada, and St. John, to name a few. 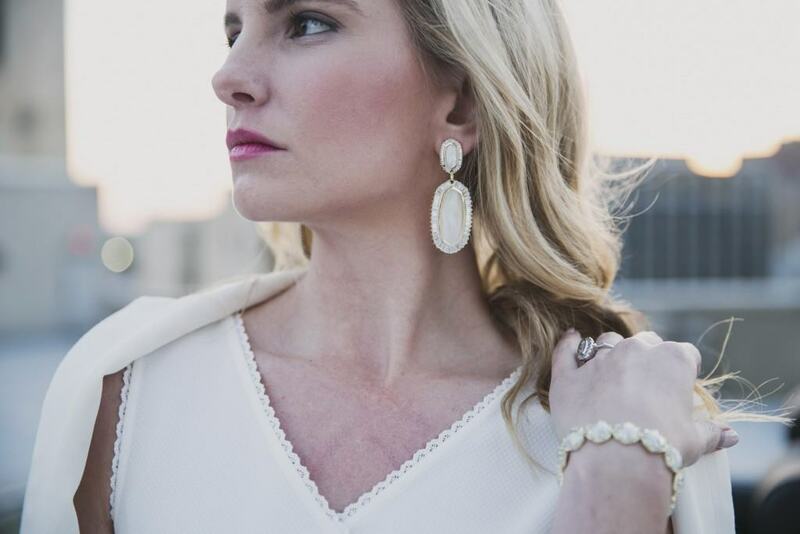 We were bejeweled in Kendra Scott Jewelry, from its Birmingham location at The Summit. To complete the shoot Karis Lamb Wilson of the blog Love, Karis modeled next to me – which provided an incredible learning experience. That blonde bombshell is full of personality and wit; exuding confidence while rocking her city-chic style on the shoot. With the team complete, we headed to Adamson Ford and my father handed off the keys to the cars. 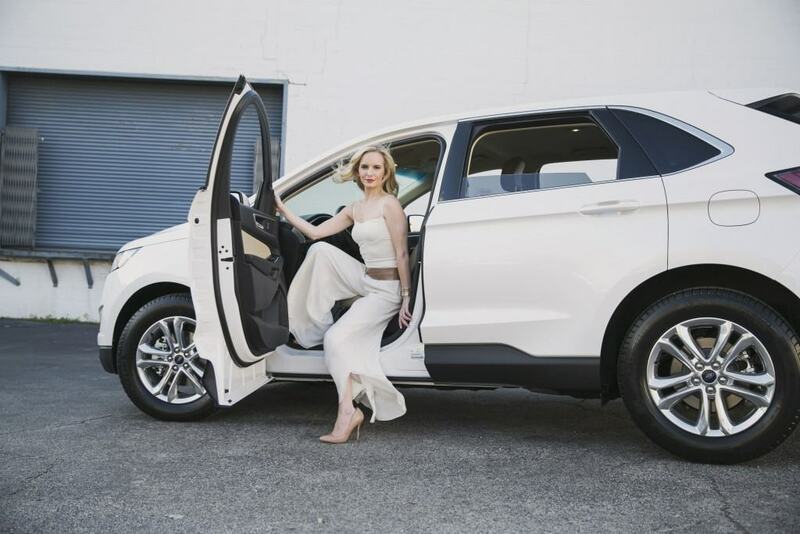 We first shot the Ford Edge, as if we were going on a girls weekend getaway. Next, we hopped in the 2004 Thunderbird, a modern take on the classic T-Bird of years past. Mark Cohn’s ‘Silver Thunderbird’ played on loop in the back of my mind as I modeled next to one of the most-coveted cars of my childhood. When Ford Motor Company introduced the Thunderbird in 1955, it made headlines as the first glamorous vehicle from Ford. It was a two-seater and featured classic tires, an iconic shape, and enough style for just about any driver. Since then, Ford has made some changes to the original design. For many people, a glimpse of a classic T-Bird takes them back in time to when they were driving with the top down and the wind in their hair. Laura shot the limited-edition T-Bird on the top of a tall building’s parking deck so that the city’s skyline could be seen, while the foggy sky proved to be the perfect backdrop to our slightly monotone, minimal street style looks. For more images in our portfolio, click HERE. You did an amazing job with this, I love the combination of the neutrals with the models. Thank you so much!! I thought I would keep it neutral so that we could really show off the cars and get the downtown vibe. It’s nice to see women + cars together for a change! I like the contrast. Thanks!! I think it was empowering to do so. We certainly had fun! You did a seriously amazing! These pictures are gorgeous! Thank you – this was so fun to style and model in! We also had a fabulous photographer, which always helps! This is amazing! Your styling is completely perfect. So high end! Thank you so much! This was my first shoot to style by myself; as well as playing roles of both stylist and model. I was incredibly nervous! Looking back I am so happy with the way the photos turned out – having a good photographer can make all the difference in the world. Thank you for your kind words! I was going for a higher-end feel – Ford has steeped up their luxury game lately and it was fun to show that off. I love the unique angles and clean edits! Great work! We had a fabulous photographer – Jett Walker photography is the best! these are magazine materials! you did an amazing job on these! I didn’t even submit these – I so should have, though! Really beautiful images! magazine quality, truly! This shoot turned out very nice. I love the simplicity of it yet it still comes across as very classy and elegant. These are fabulous! I love the Thunderbird! Yay! I wanted to take the t-bird home with me! What an awesome shoot! The model looks like she belongs in those AWESOME cars! Great photos, great styling! Thank you!! This was a fun one to style. I loved working with Adamson Ford in midtown Birmingham, Alabama. And….I love the T-Bird.